Maremma Sheepdogs: Marmma Sheepdogs are massive, noble distinctive-looking dogs with bear-like heads. Their jaws are strong with a scissors bite. Maremma Sheepdogs have black noses that often becomes slightly pink-brown with age. Their ears are v-shaped, pointed and rather small. Their eyes have a lively, intelligent expression, but are not large. Their tails are set low and thickly feathered with dense hair. Their deep, well-rounded ribcages extend to their elbows. Their long, coarse, and very abundant hair has a slight wave. Their under-coats are dense. Their coat colors include white with markings of ivory, light yellow, or pale orange on their ears. Maremma Sheepdogs are friendly and well-balanced flock guardians. 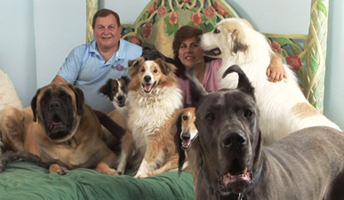 For several decades, they have also achieved success as companion dogs. Sober and dignified, these loyal, brave, and determined dogs make excellent guard dogs without being constant barkers. Maremma Sheepdogs are correctly described as affectionate, but not dependent. Maremma Sheepdogs get along with other dogs and pets and can be slightly reserved with strangers. People who are not welcome on your property will be stopped in their tracks. Maremma Sheepdogs are not as large as many of their fellow flock guardians, but they still possess comparable endurance and strength. Maremma Sheepdogs are alert and independent with impressive lifelong dedication, and have adapted into marvelous human companions without loosing their extraordinary working ability. Maremma Sheepdogs will defend both their house and master, and they are particularly attentive with children. Maremma Sheepdogs are a terrible enemy of wolves, but tame with man. Their country of origin is Italy. Some claim at one time there were two separate breeds: the Abruzzese and the Maremmano. The Abruzzese were more of mountaineers and had longer bodies, while the Maremmano had slightly shorter coats. In the 1950's, the two breeds were officially established as a single breed with a hyphenated name, Maremmano-Abruzzese. These are classic European flock-guarding dogs, probably close descendants of the great, white Eastern sheepdogs that slowly spread across Europe over 2,000 years ago. The Karabash and Akbash sheepdogs of Turkey, the Kuvacs of Slovakia, the Kuvasz and Komondors of Hungary, and the Pyrenean Mountain Dogs of France are all included in their bloodlines. The ancestors of the Maremma evolved to become smaller than their fellow herd guardians while retaining the independence and aloofness of their heritage. Maremma Sheepdogs are still rare in other countries other than Great Britain and Italy. 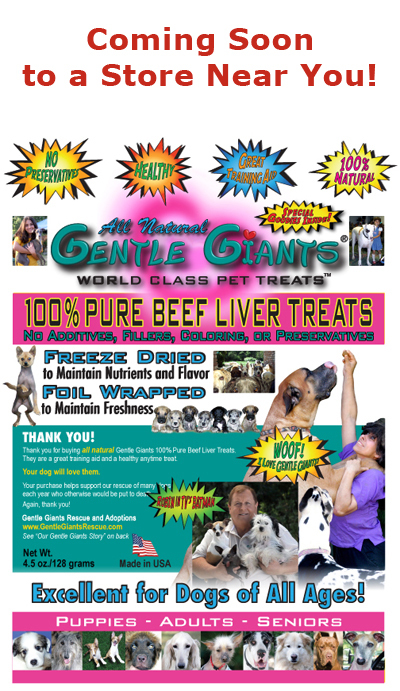 MEET AND ADOPT A BEAUTIFUL MAREMMA SHEEPDOG! 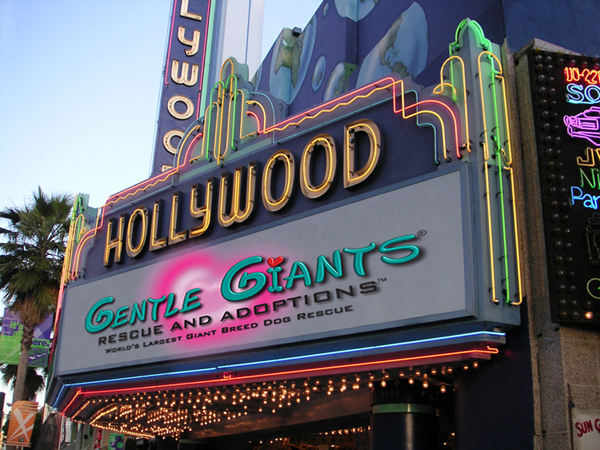 Please Note: Gentle Giants Rescue - Maremma Sheepdogs reserves the right to make changes, additions, deletions and/or modifications to its website, documentation, requirements and policies at any time. All such changes, additions, deletions and/or modifications to its website, documentation, requirements and policies may apply retroactively at the discretion of the company. 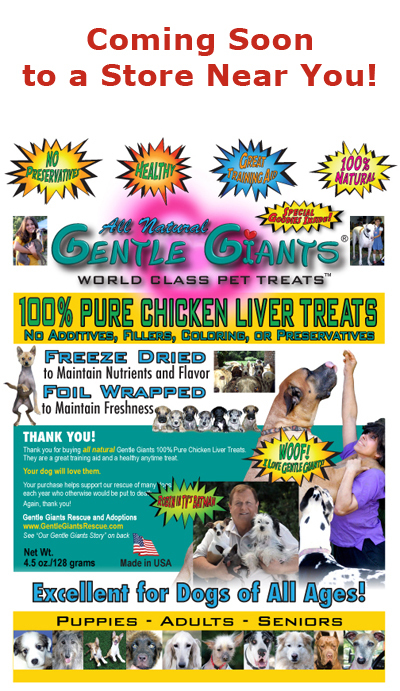 © Copyright 2003-2011 Gentle Giants Rescue - Maremma Sheepdogs. All Rights Reserved.